Tourists spent a record amount of money while visiting the District last year. Visitors spent $7.1 billion in D.C. in 2015, according to Destination D.C., the city’s official tourism branch. City officials said the increased tourism revenue reflects efforts they have made to grow businesses and improve the city’s economy in recent years. 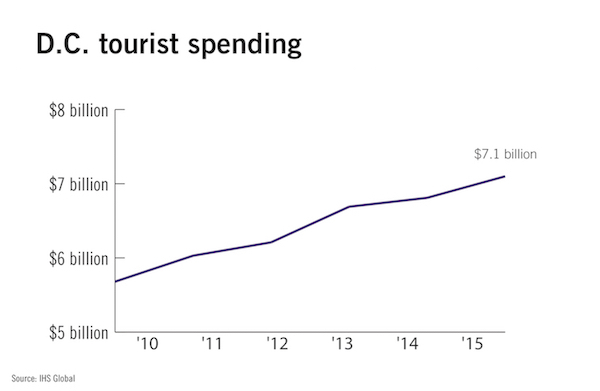 Last year marked the fifth consecutive year that tourists spent an increased amount of money in the city. Tourists last year spent $300 million more than they did in 2014, according to Destination D.C.
Destination D.C. spokeswoman Kate Gibbs said city planners have increased activities and resources for tourists since the recession, like creating new buildings and adding more than 40 hotels. She said D.C. has always been a tourist attraction but that District leaders have been working to establish a more unique brand for the city. She added that developers have invested $2 billion in construction projects, making what she called a “city full of cranes.” She said one example of projects included is the wharf being built in Southeast D.C., which is set to open next year. She said the presidential election this year will draw people to D.C. but added that it was too early to determine the impact that the 2016 election will have on the city’s tourism numbers. 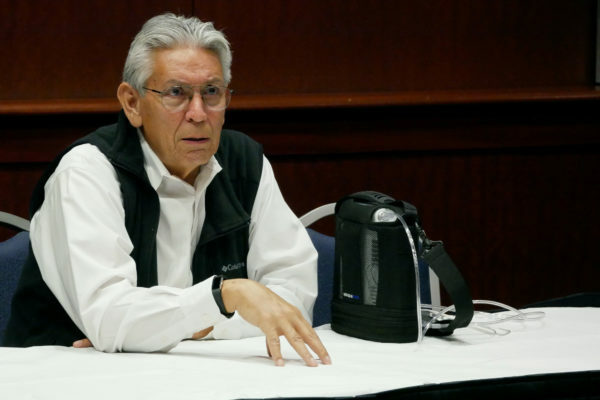 Gibbs said the District will play host to 15 “citywide” conventions with more than 2,500 people this year and that 21 similar events are planned for 2017. She said the conferences attract professionals, who are more likely to spend money on hotels and restaurants. 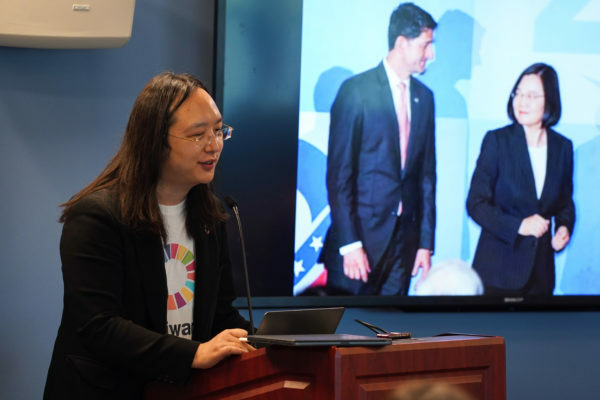 She said District planners encourage international tourism by making direct flights available for different cities in China, a goal that Foggy Bottom Council member Jack Evans said he wanted to make a priority last year. Until 2014, European countries accounted for the most international travel to D.C. because they offered direct flights, Gibbs said. Two years ago, the number of people who visited the District from China outranked the number visiting from the United Kingdom or France. D.C. officials named Beijing a sister city in November as another way to increase tourism. On a trip to Beijing, Evans said that he would like to increase direct flights from China to D.C.
Tom Lipinsky, a spokesman for Evans, said District officials have been facilitating occasions like sporting events, conventions and marathons to bring people to the District for more than just the monuments and museums. More tourists have come to D.C. to watch the Washington Capitals play this year, he said. Joaquin McPeek, the director of communication for the D.C. Office of the Deputy Mayor for Planning and Economic Development, said rising tourism in the District increases tax revenue on the items that the visitors buy and creates jobs in places like restaurants, hotels and construction. Prospective business owners feel encouraged to open businesses in D.C. when they hear the “District success story,” McPeek said. “It’s really about showcasing the best of the entire District, not just what has been historically known to the rest of the country,” McPeek said.